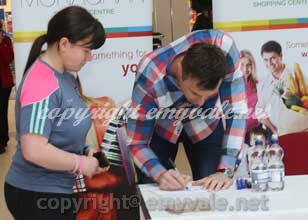 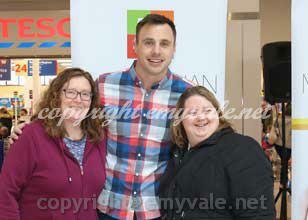 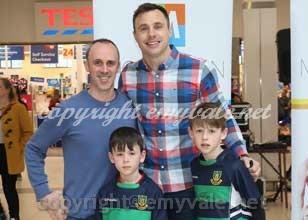 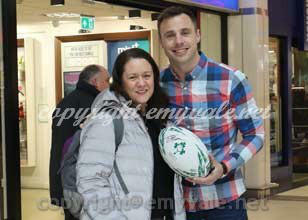 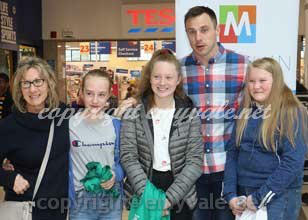 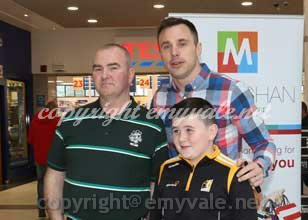 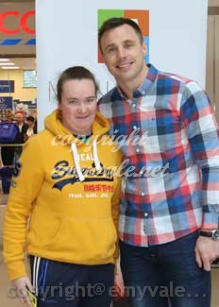 Tommy Bpwe Meets and Greets: On Saturday, March 30th Tommy Bowe spent a few hours meeting and greeting in Monaghan Shopping Centre. 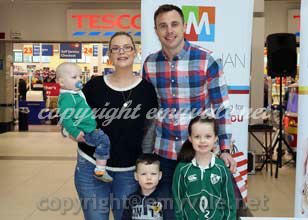 He may not be representing Ireland on the Rugby field but the crowds lined up and waited their turn to get talking to a hero. 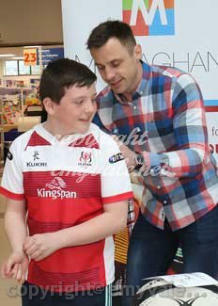 Young and not so young were all smiles as they met someone they obviously admired greatly and he had plenty of time for them, there was no rush. 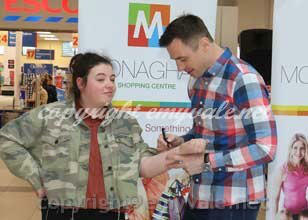 It was an amazing sight as the queue never diminished and Tommy never tired of his warm greeting for all, young and older. 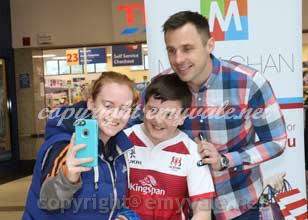 He made everyone feel special and stood for photos and took selfies on phones and gave everyone a personal ‘best wish’ message with his autograph. 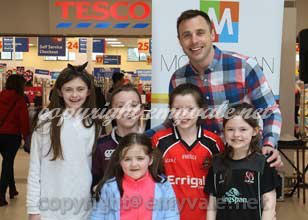 What a terrific ambassador for Monaghan, for Ireland, for his sport and of course for Emyvale. 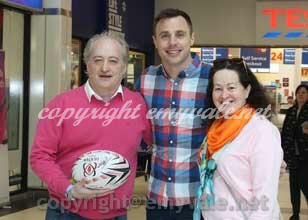 Everyone who met with him will remember the occasion as his warmth, his friendliness, his sincerity and cordiality made a lasting impression. 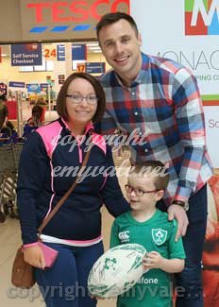 Thanks to the Monaghan Shopping Centre for organising the event and to Tommy for the manner in which he met and greeted and we wish him every success with his business ventures and with his TV work.